This time we have something we would like to celebrate, this November 17th we had our first Flight to Chichen Itza with dear guests from Silver Wind Cruise / Silversea Luxury Cruises, and we are going to share with you a story from one of our guests. 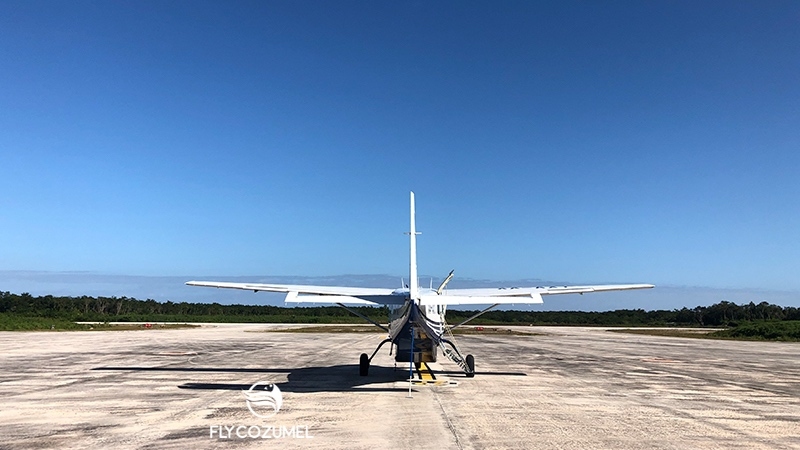 At Fly Cozumel we truly believe that every guests experience is supremely important and must be shared and narrated before, during and after every single Flight. That is why we put all our efforts to be always with you, Flying side by side, during every single trip to document, immortalize and catch every single detail of your experience. It is Saturday 17th of November 8:00 am, a shiny Caribbean day in Cozumel, the Fly Cozumel team Fernanda (operational manager) and Leo (owner and founder) is greeting the Silver Wind guests right at the Punta Langosta Cruise dock. 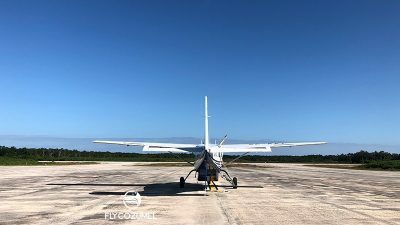 From there it was a short 10 minute (air conditioned) ride to the Cozumel International Airport where captain Oscar was welcoming all with a great smile. After a quick briefing we rapidly go through airport security checks and head to the Airplane, excited to Fly towards this Mayan adventure. 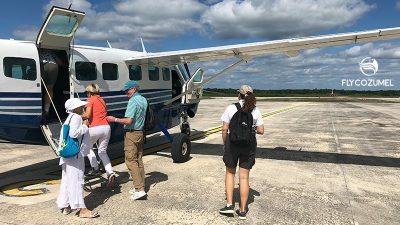 The Airplane is clean, air conditioned and in excellent condition. Pictures and seats taken, seat belts fastened and the captain starts the engine and does routine checks. 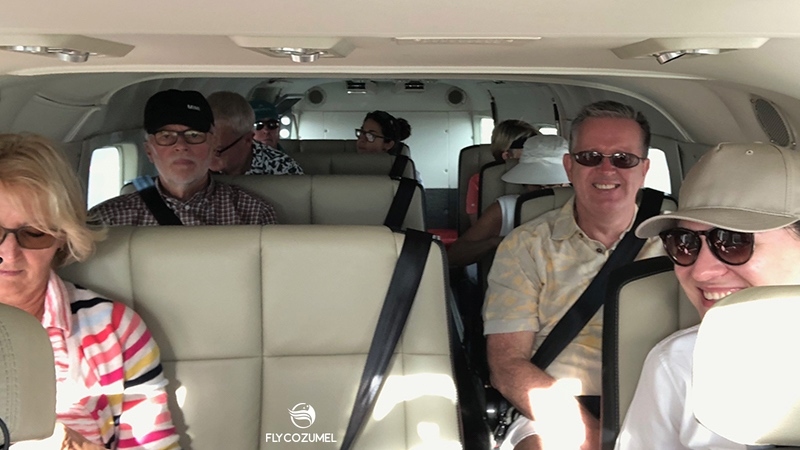 In just a few moments we are already Flying over Cozumel island amazed by the view and the colors of the sea which surround this beautiful Caribbean destination. 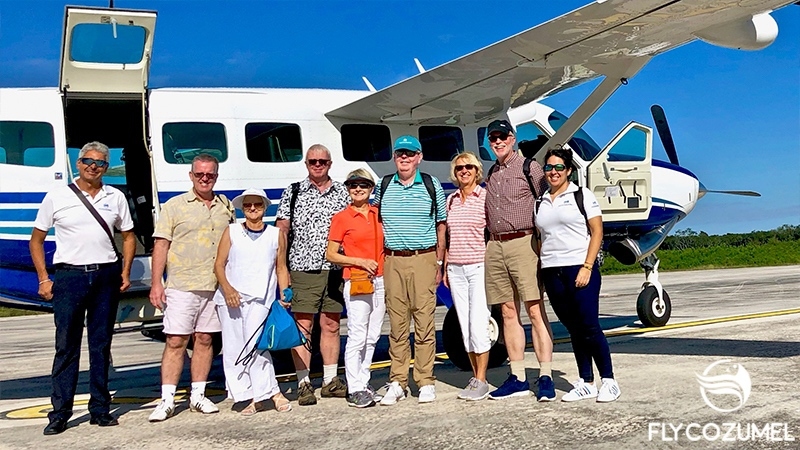 We got to see our ship Silversea Silver Wind from the Air, a complete different perspective, and for all of us a nice and appreciated detail of Silversea and Fly Cozumel. 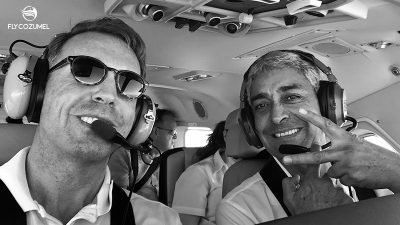 The view from the Air is breathless, and everyone is staring outside the window trying not to lose any single detail of the sea. However, as soon as we enter the land of the Riviera Maya the scenario changes completely. Now, an endless flourishing and lush green jungle is surrounding us: the Mayan sacred ground. Surprisingly, we discover there is not only trees covering the ground but also mashes, giving to this landscapes a certain shade of mystery and increasing inside a wonder of adventure. The time seems to stop while the eyes are busy analyzing the view on the other side of the glass, but suddenly, after just 35 minutes in the Air, the captain begins the landing procedures Flying the Airplane down and down closer to the trees. After a veer to the left, the Plane approaches the landing strip of Chichen Itza international airport. The airport it is not so busy – only we were there – and after a smooth landing, we walk to the (clean and air conditioned) van, which is already waiting for us outside the airport. The ride to the archaeological site of Chichen Itza is short, just 10 minutes, but on the other hand, we are given the possibility to pass through some villages and see how people live a simple and humble life. Both Fernanda and Leo joined which gave us a comfortable and safe feeling. After this short but very interesting ride into the Yucatan world, we arrived at the Chichen Itza archaeological Site. First person we meet in the parking, right outside the entrance, is the official local Fly Cozumel guide in Chichen Itza, Jorge (better known as Tortuga). I must say he speaks English fluently and his knowledge of the Mayan history is really wide and accurate. A lovely and patience person and definitely meets the Silversea Luxury Cruises standards. We head towards the entrance with water that was supplied by Fly Cozumel and we can take a stop at the restrooms. There are a lot of sellers trying to sell you all kind of Mayan craft or other sundries, and, why not, “sombreros”. Detail: Fly Cozumel supplied us with umbrellas (at no extra charge) for sun protection. Everyone is given the entry ticket and we are ready to enter the Mayan Ruins. Passing the checks, we start walking on a path surrounded by the jungle and there is our first stop. Tortuga shows us what used to be the wall protecting the Temple area. After a good explanation, we keep moving entering into a grass-covered glade where – surprise surprise – there it is. 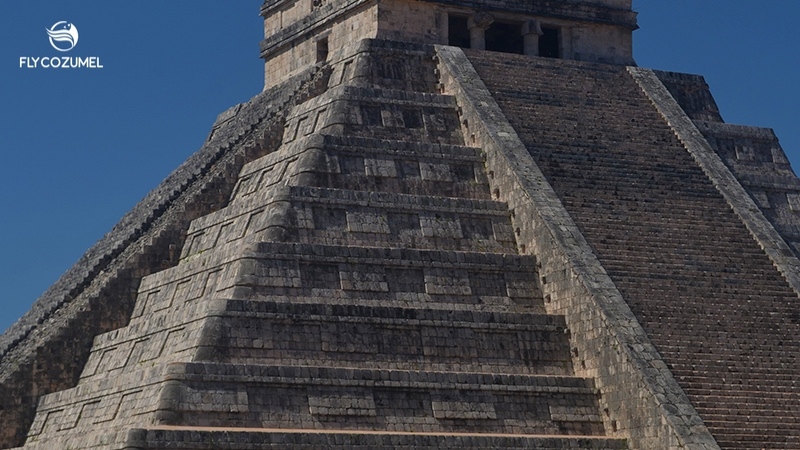 The magnificent Pyramid of Kukulcan, so majestic! I have to admit that while Tortuga continued his explanation we kept looking around amazed by what we are seeing. After this second stop, we are headed to the ball game buildings. A big place where the warriors/players used to play the Mayan ball game while the king, the king’s guests and the village people were seating in their appropriates spots. There are 2 big long walls on the sides where, at the top middle, the goal circles are located. A huge building at the end of the field used to be the king’s spot. Another building is located in the opposite side of the field, which used to serve as spot for the guests of the king. It is remarkable how the acoustic of the buildings made very simple for the king to speak with his guests – I would say whisper – even if they were seating hundreds of meters away from each other. Incredible is also thinking how hard it must had been for the players to score a goal in those tiny circles about 6 o 7 meters above their heads, considering they were no taller than 1.50 meters and had to score with the hips. 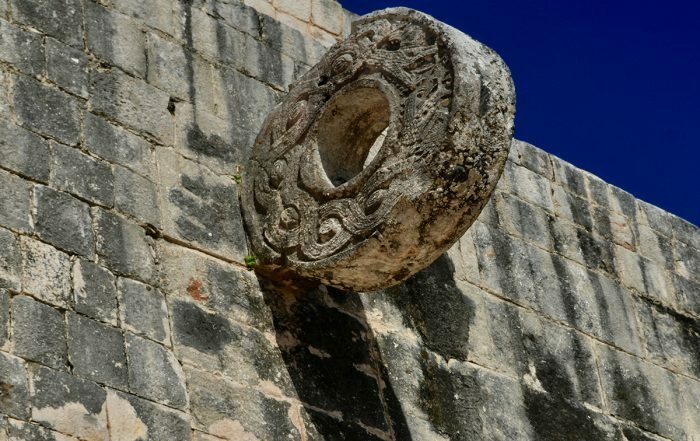 Part of the history of Chichen Itza is still visible in the base of the sidewalls; many hieroglyphs are still readable and well preserved and Tortuga does not miss the opportunity to explain about them. It is now the time to go and meet the pyramid. Tortuga lead us through the circuit back to the main area and gives all the sort of information about it. The pictures speak by themselves. After this last stop, we are given a little window of time to hang around and take some great photos. I can already say; this is by far my favorite Shore Excursion of our Silversea Luxury Cruises Silver Wind Cruise. Honestly, resting a little bit and hanging around the site was greatly appreciated. Finally Tortuga meets all us behind the pyramid and together we walk towards the exit where we can finally have some rest and get some fresh delicious water. It is time to Fly back, we say goodbye to Tortuga and thank him for his outstanding job as guide. We get back into the van and ride back to the airport where the Plane and captain Oscar are ready to Fly us back to Cozumel. 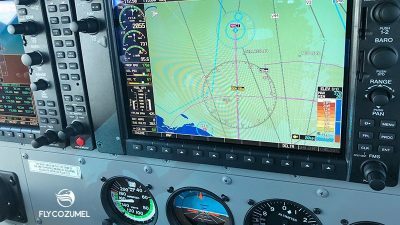 The way back is much quicker for the senses, somebody even fall asleep during the Flight; we are Flying over the sea ready to land in Cozumel where we are brought back to our ship by Fernanda. So, here is our incredible story. We made memories, crossed an item off our bucket list and made new friends. We can strongly recommend this organized Shore Excursion. 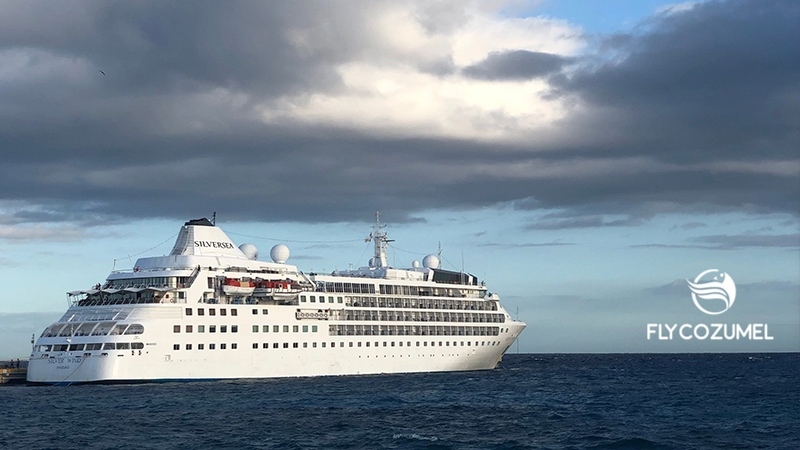 Booking direct with Silversea gave us a peace of mind. We booked online, but the Excursion is also to be booked through the onboard Shore Concierge Team of Silversea Luxury Cruises. Thank you Silversea and FlyCozumel. 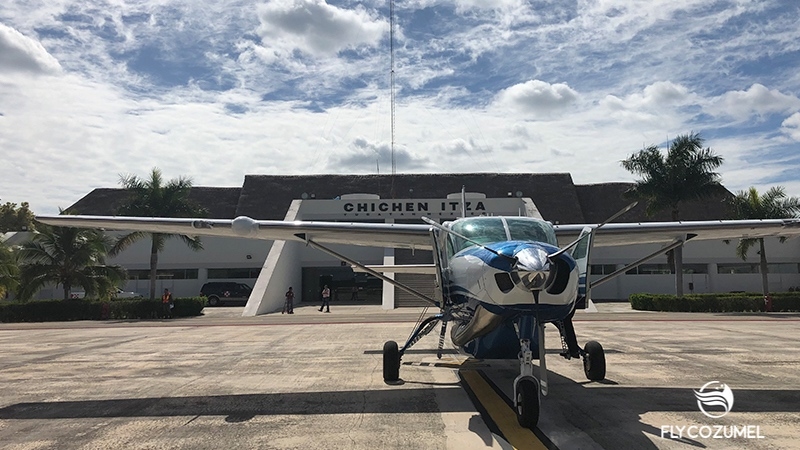 Thank you for Flying with us to Chichen Itza! 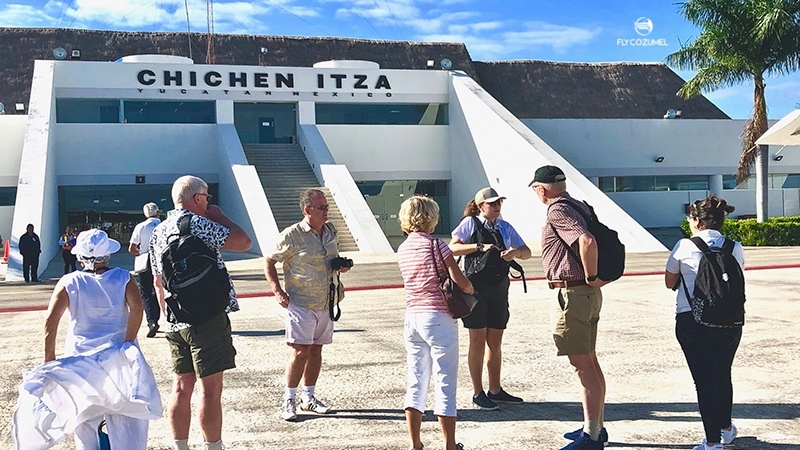 When you arrive in Cozumel with Silversea Luxury Cruises (Silver Wind and Silver Spirit) and you are interested in the Shore Excursion “Fly to Chichen Itza” check out my.silversea.com or ask your onboard Shore Concierge Team. Hasta pronto! PrevPreviousSeaweed update Cancun, Cozumel, Playa del Carmen and Tulum.